Anna May Robinson has always known that Ric Justice is the only man she’ll ever love—even if he considers her just his friend. When she learns she must have a baby now, or risk never having children, she takes the biggest risk of her life: persuade Ric to be the father of her child. Ric Justice’s abusive childhood taught him many hard lessons and now he uses his wealth as a shield between him and the rest of the world. He can only let down his guard with his best friend, Anna May. 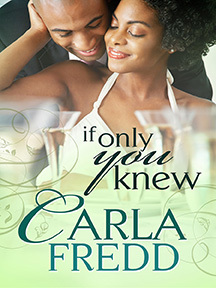 But when she proposes to him, he can’t refuse, even though he fears losing her friendship forever. What begins as a marriage of convenience quickly turns into a fiery passion. Is it strong enough to melt Ric’s steely control? Will Anna May’s love make him question everything he’s believed about family, friendship and love? Order If Only You Knew Today!